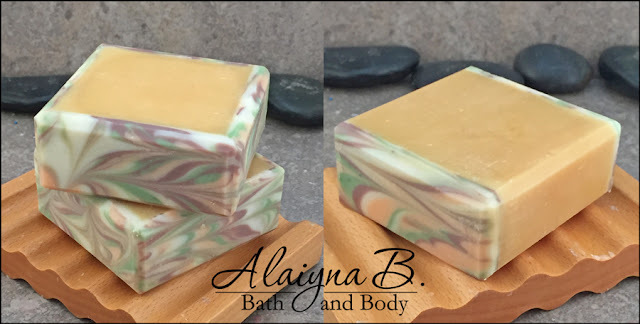 Since I spent quite some time trying to figure out how to create a rimmed soap so that it could be reproduced again and again with good results, needless to say, there have been many failed attempts. But, as someone who does not like to waste good soap, there are many ways you can still use the soap from these failed attempts. My most recent failure was just last week when I added too much sodium lactate to the rim soap and it wanted to crack on me. It was till flexible/moldable, but not enough to roll nicely without cracking. Knowing what was coming, I immediately stopped trying to roll it as I knew from past experience not to try to continue on with rolling and forming into the PVC pipe - it just leads to a mess. Instead, I chose to use individual square silicone molds to create a square rimmed soap. While this can be quite a bit more laborious, the results are great. I take the slab and cut individual edges for each length and height of the mold (mine is 3" x 3" x 1 1/4"). This works for rectangular individual molds too. Each piece is mitered at the corners or you could just cut them to fit and overlap at each corner. 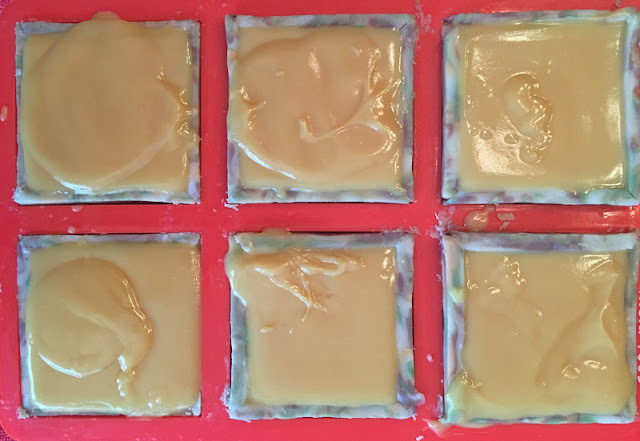 You can even just place rimmed pieces on two opposite sides instead of using all 4. Create a new batch of soap for the inner portion and proceed as usual filling each individual mold with new soap. Allow to gel and unmold when hardened enough to do so. These will need some cleaning and trimming to look good, but the finished soap is really unique and beautiful. Square molds with rims cut and formed from the slab. 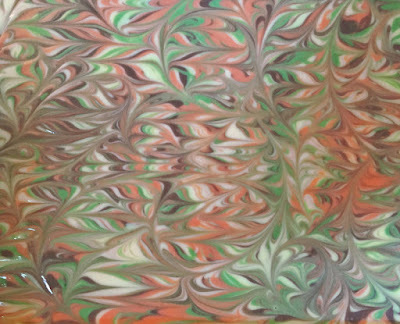 These bars were scented with a pumpkin spice fragrance that I know will turn a bit darker orange than the color shown here as the soap cures. Not round, but still a unique rimmed soap. Other things you can do to reclaim your failed soap rims. Some of the above ideas have been used in these soaps below. 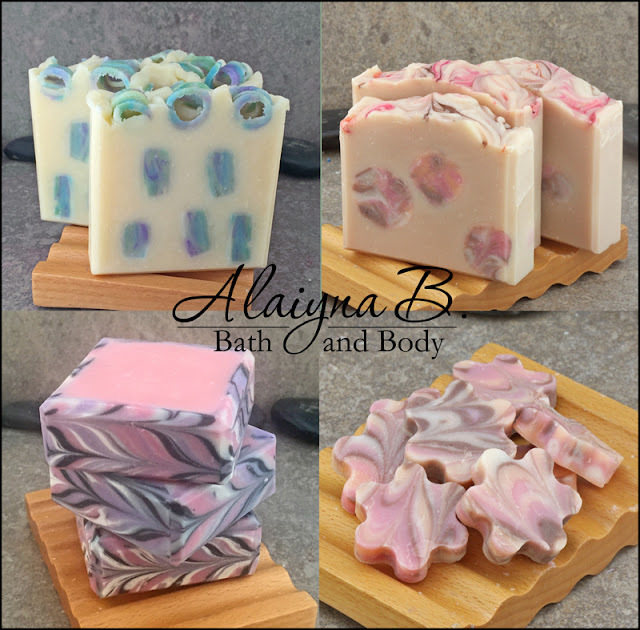 The two soaps to the right (the embedded soap balls and flower shaped guest soaps) were from the same failed rimmed soap attempt too.